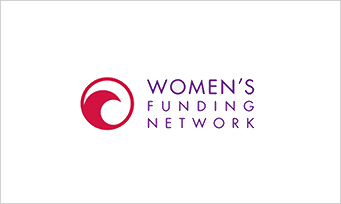 The Women’s Funding Network (WFN) is a global network of over 100 foundations investing in social justice around the world that accelerates women’s leadership and invests in solving critical social issues — from poverty to global security — by bringing together the financial power, influence, and voices of women’s funds. WFN provides member funds with ongoing training, tools, and support to help them increase their investment, influence, and impact. Korwin Consulting is currently conducting a three-year evaluation of WFN’s Two-Generation Policy Advocacy Cohort — a learning cohort of women’s foundations across the country partnering to advocate for two-generation policy solutions. Through evaluation coaching, a policy advocacy evaluation webinar, and a mixed methods evaluation, Korwin Consulting is evaluating partner motivations, perceptions of the learning cohort process, and the policy outcomes resulting from their individual and collective efforts. Prior to this evaluation, Korwin Consulting worked as a strategic evaluation partner in WFN’s Partnership for Women’s Prosperity (PWP) — a partnership of U.S. women’s foundations working to help economically vulnerable women and girls gain economic security through education, job training, and employment opportunities — from 2012 through the initiative’s sunset in 2017. Korwin Consulting’s evaluation of PWP revealed that using a systems change framework, which includes emphases on five key approaches — effective programming, creating strong and effective linkages, improving the political environment, developing a strong infrastructure, and taking efforts to scale — can successfully position both local programs and national initiatives to effect change on key social issues. Download the Partnership for Women’s Prosperity Systems Change Framework report here. Additional projects with WFN include the development of common measures for all WFN members to use to benchmark progress in building women’s economic justice as well as working with the WFN Fund for Shared Insight initiative, which highlighted best practices women’s foundations are using to increase their openness and transparency.